Roll one side of the pastry dough to the halfway mark, and repeat with the other side. 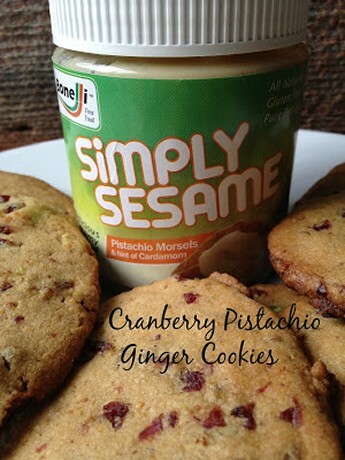 Use a sharp knife to cut the cookies about 1/2 an inch thick, then place them on a parchment lined cookie sheet. Bake for 6-8 minutes, until slightly puffy, and remove from the oven. 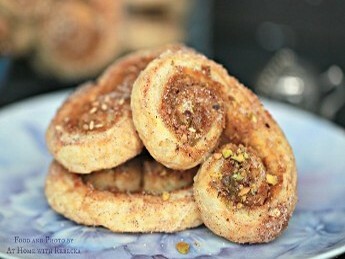 Carefully flip all the cookies over, sprinkle with chopped pistachios and sesame seeds and return to the oven for 6-10 minutes, or until the center is cooked through and the edges are golden. With a hand mixer or beating well with a spoon, mix the sesame with the oil and beat in the sugar. Stir in the flour and spices just until combined. Roll dough into a tablespoon size and bake cookies on a parchment paper-lined cookie sheet for 8-10 minutes. Let cookies cool on a wire rack for 5 minutes, then roll each one in the powdered sugar. 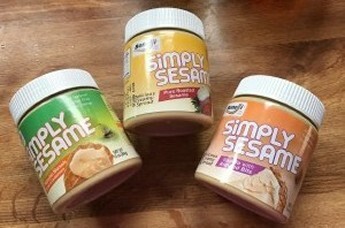 Simply Sesame produces healthy, snack food spreads. 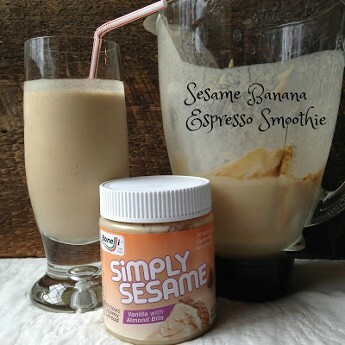 Blend milk, espresso powder, peanut butter, sesame spread, banana, honey, if using and ice in a blender until creamy. Sesame Banana Espresso Smoothie is the perfect "on-the-go" breakfast. 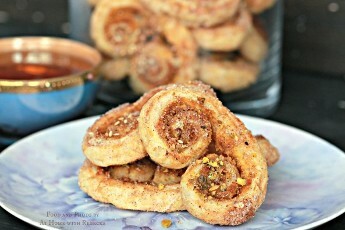 Whisk together ¼ c. Pure Roasted Sesame , ¼ cup sugar maple syrup or additional honey, 1/3 cup mustard, ½ c orange juice, 1 tbs. 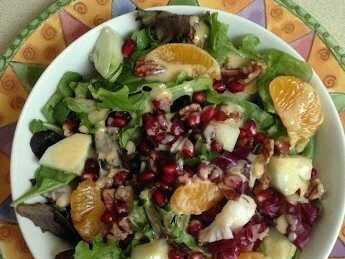 balsamic vinegar, ½ tsp paprika, ½ tsp salt, ¼ tsp pepper, ½ tsp onion powder and 2 tsp minced garlic in a bowl. Transfer to a Ziploc bag and add 1 lb. boneless pork loin. Let marinade for at least 30 minutes. Roast in oven, 425 bake for 25-30 minutes. Internal 145 degrees…broil for 5 minutes to get the top lightly browned. You can also do this in crockpot. Crockpot, first brown both sides in skillet before transferring to crockpot, cook on high for 4 hours or 6 hours on low. Mix together dry ingredients. Pour in Simply Sesame Spread. Mix in warm water, a small amount at a time, until a dry dough forms. Place 1 large sheet of waxed paper on a flat surface, using a few drops of water underneath to hold it in place. Transfer dough to top of this waxed paper and cover with another sheet. Roll out the dough to desired thickness. 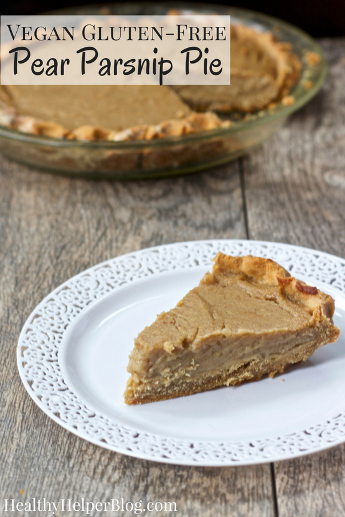 Remove top sheet of waxed paper and transfer crust to oiled pie pan. Set aside. Purée the 2 cups of mashed parsnips and pears and the non-dairy milk in a blender until smooth. Transfer the purée to a mixing bowl. With a whisk, beat in the sugar, salt, cinnamon, ginger, nutmeg, cloves, and corn starch mixture whisking until the sugar dissolves. Spread filling evenly into the pie crust. Remove from oven and let cool on a wire rack before slicing and serving. Store in the fridge. 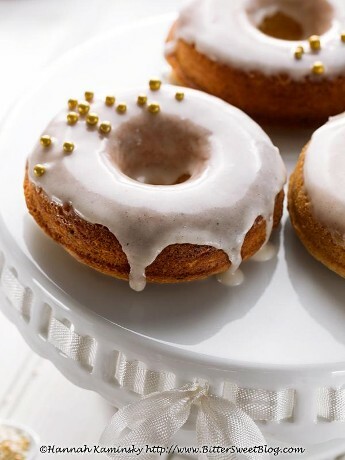 For the glaze, simply whisk together the confectioner’s sugar, vanilla paste, and 1 tablespoon of water. Continue slowly drizzling in additional water until it reaches your desired consistency. 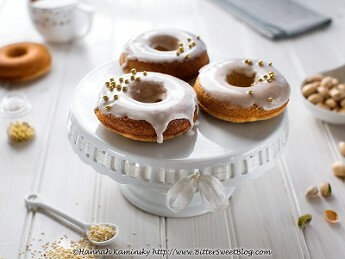 Dip each doughnut into the glaze, allowing the excess to drip off, and apply dragees or sprinkles to your heart’s content.